Last week, Facebook quietly introduced a new app called Lasso. As its listing on both Play Store and App Store suggests, Lasso is a simple app that lets you create short, fun videos. Sounds familiar? Well, that’s because it’s a direct competitor of TikTok, an app that recently surpassed Facebook, Instagram, and even YouTube in terms of downloads. Facebook, as we all know, wants to snag some eyeballs and capitalize on the trend. But is it really working? Not really. Yes, the launch of Lasso has clearly spiked some conversations around it, but it seems to have received a lukewarm reception. First off, Lasso only has “1,000+” install on the Google Play Store. That, I believe is a fairly low number considering the fact that it’s been a few days and there was a lot of hype around it last week. App Store won’t let me see even the approximate number of downloads, but judging by a measly 130 ratings on the listing, I am inclined to believe that it is no different. Of course it is possible due to the fact that it’s only available in the US, but I am sure there is no shortage of early adopters there. 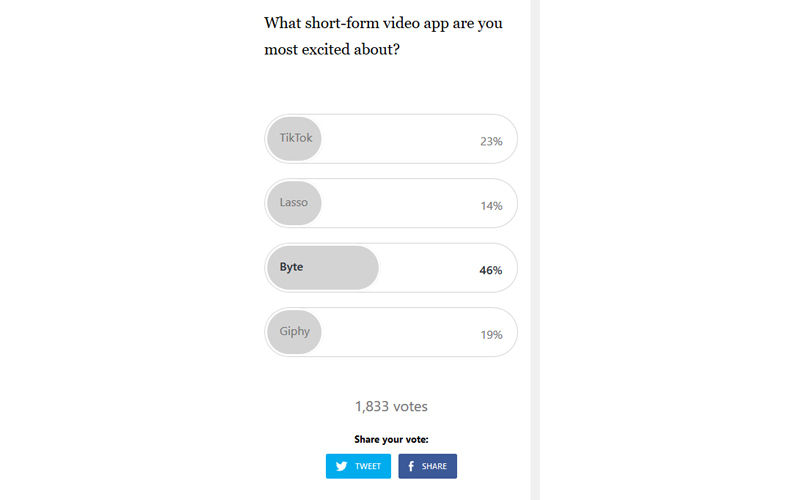 Even in a Product Hunt poll asking which short-form video app people are most excited about, only 14-percent people (1,833 votes) showed interest on Lasso. 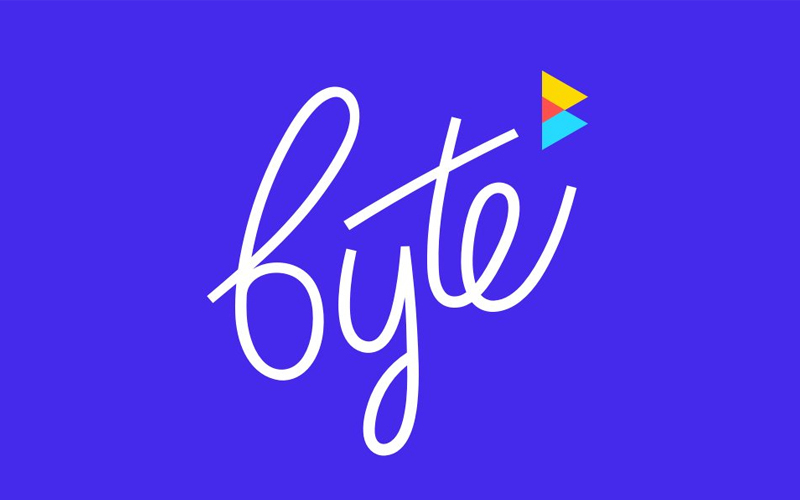 It’s in line with competing apps like TikTok, Giphy, and others, but Byte grabbed the most votes with 47 percent of the votes. As creators ourselves, a lot of us here at Beebom are also more excited about Byte than, say, using apps like Lasso or TikTok. Previously code-named “v2”, Byte is said to hit the market in Spring next year. Vine co-founder Dom Hofmann’s tweet made waves around the internet, which shows the sheer amount of interest for the looping video app. Unlike other apps in this space, Byte needs no introduction. People and creators across the globe have been mourning and waiting for Vine’s resurrection for a long time, so it is already being seen as a promising iteration on the original. Look, there’s still a lot that we don’t know about Byte. Will it be a 6-second video hosting service? Will the clips be accompanied by music like TikTok? These are the questions, which, I believe, can only be answered once I get the app running on my phone. But given Hofmann’s personal involvement in this project and people’s anticipation, the service is expected to be as good as Vine once was, if not any better. Either way, I am truly excited to see what the Vine successor will look like and how is it received in markets like India, where apps like TikTok has seen a gargantuan growth. But what are your thoughts about Byte? Do you think it’ll see some traction in markets like India? Let us know by dropping a comment down below.